Program Description: The Master of Arts degree in counseling is a 48 semester hour program with areas of emphasis in elementary school counseling, secondary school counseling, or community counseling. A student may complete the M.A. program in counseling by attending the regular year program, the summer-only program, or one of the off-campus programs. 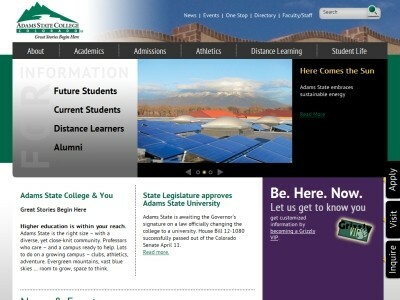 Location & access map for "Adams State College"